Play these Flash or HTML5 based online slot machine games provided by GameArt at Top Free Slots. No download required to play the games - just click on the image and wait for the game to be loaded in your browser window. You can play all these GameArt Slots for free or try your luck for real money at sponsored online casinos. You can play classic slots or 5 reel video slots with multiple lines of payout, exciting bonus features, and wild and scatter symbols to increase your winning potential. Do you have what it takes to uncover the secrets and mysteries of the mastermind Da Vinci? 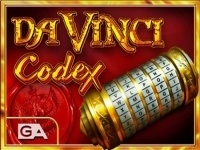 You`ll have a chance to prove it in the puzzling Da Vinci Codex slot machine from GameArt where cracking the codex could lead you to big..
Thai Dragon is a 20 payline online slot machine from GameArt. 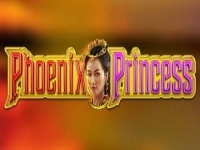 The majestic dragons from legend and history come to life again in the thrilling 10-payline Thai Dragon slot machine from GameArt and.. This is a new 25 payline slot machine developed by GameArt. 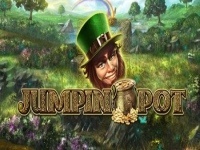 Travel across the emerald isle in search of big prizes in the 5-reel 25-payline Jumpin Pot slot machine by GameArt! 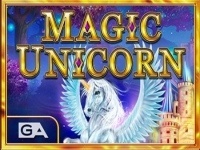 Painted across a..
Magic Unicorn is a 20 payline slot machine game created by GameArt. Legend says that only a virgin can tame the majestic horned horse but do you have what it takes? Take your chances in the 243 Ways to Win.. This is a new 25 payline online slot machine from GameArt. The work never ends on the farm, but neither do the rewards! 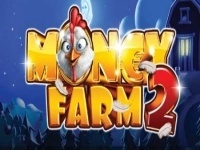 Play the second instalment of the fan favourite game inï¿½Money Farm 2ï¿½slot..
Gold of Ra is a new 20 payline slot machine developed by GameArt. 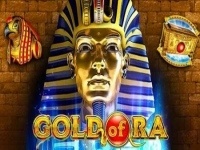 The Pharaohs of ancient Egypt hold a secret of wealth and riches, and you can discover it in the freeï¿½Gold of Ra slot machine by GameArt!.. This is a new 20 payline slot machine game created by GameArt. Move over Mary-Kate and Ashley, there are two new cute twins on the block! 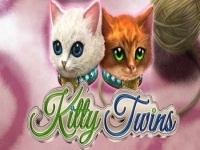 These are the Kitty Twins and they`ll help you as you spin the.. 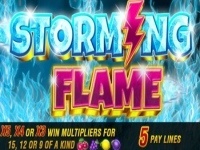 Storming Flame is a new 20 payline online slot machine from GameArt. Look out for the blazing inferno coming your way in the 5-reel, 5-payline Storming Flame slot machine by GameArt! ï¿½This electrifying game.. This is a new 20 payline slot machine developed by GameArt. 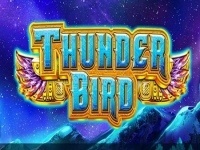 Fly across mystical northern skies with a creature that can bestow great wealth and power upon you, in the 5-reel 20-paylineï¿½Thunder Bird.. This is a 20 payline online slot machine from GameArt. The famous Nikola Teslaï¿½ was a Serbian American inventor, engineer, physicist and futurist with important contributions to modern..
Tiger Heart is a new 10 payline slot machine developed by GameArt. Take a trip to the deepest parts of the jungle in search of big winnings in the 5-reel 10-paylineï¿½Tiger Heartï¿½slot by GameArt! Become.. This is a new 20 payline slot machine game created by GameArt. Travel with your wolf pack and roam the forest in search of untold riches in GameArt`s 5-reel, 4-row and 50-payline Wolf Quest slot..
Money Farm is a new scratchcard game featuring 3D farm residents - pigs, chickens, rabbits, cats and dogs, and... the farmer. Match 3 farm animals of the same type out of 6 and win your cash prize from 1x up to.. This is a 15 payline slot machine developed by GameArt. rr GameArt: You can play African Sunset slot machine game for free and enjoy the beautiful view of African savannahs - there are some coins..